Custom Content creator @TheKalino has brought new animals to The Sims 4 My First Pet Stuff’s cage. 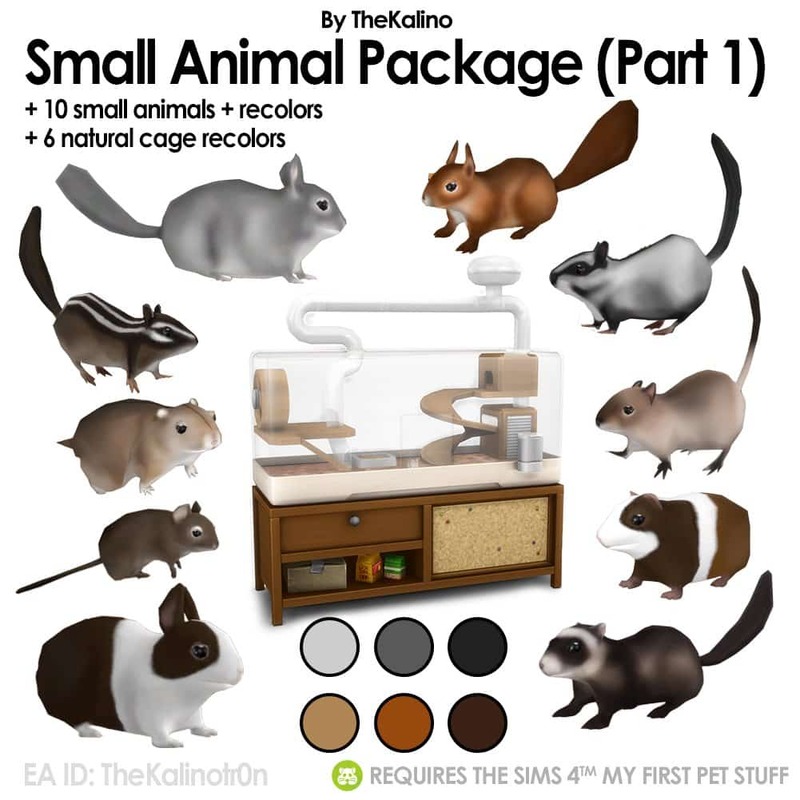 This Stuff Pack originally comes with only 4 types of small animals, but The Kalino has made it possible so that you enjoy in a much bigger variety of caged animals in your game. Although they all act pretty much the same the recolors of these small animals that were made possible to work with My First Pet Stuff still look amazing. You can also download the Natural Cage Recolors which come in 6 different styles (one of them being created completely out of the cardboard texture). These can be downloaded by clicking the download button below. To install these all you have to do is extract the .zip content to Electronic Arts > The Sims 4 > Mods folder. Make sure you have Mods / CC enabled in your game options. Also, please note that The Sims 4 My First Pet Stuff is required to be installed in order to enjoy these new caged animals.